My knitting fingers haven't gotten a break since Christmas like I thought they might. I've started and finished 4 projects just since Christmas day. 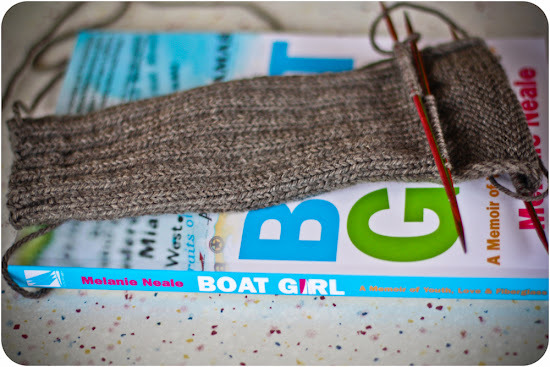 The project currently on my needles are these thick boot socks. Using leftover wool from some socks I made for Paul last year for Christmas, the yarn is sport weight (Stroll Sport from Knit Picks in Jack Rabbit Heather) so the socks knit a bit more quickly on size 3 needles. I received several new books for Christmas (and not just the cookbook and reference kind!) I'm currently reading Boat Girl, on a recommendation from Cindy. 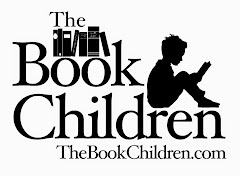 It's a fascinating look at living aboard and cruising through childhood and into adulthood. I'm thoroughly enjoying her writing and the stories of her life. The after-Christmas knits that I worked on have been delivered to a friend, but here are a few shots of them. I saw this sweet little vest-like sweater on a friend's baby and found it completely adorable. 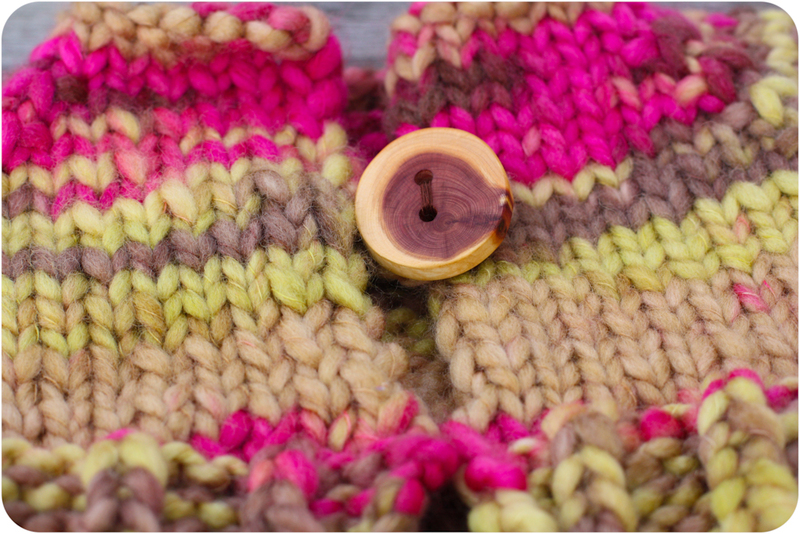 I really enjoyed having a quick knit in this fun super-chunky yarn. The cedar button I used to hold it together was one from my stash, bought on etsy some time ago. The little one who received this sweater found the button to be endlessly fascinating. For the same little one, who doesn't like to wear hats, I made this Pixie Helmet Hat. The chin strap is perfect for little ones whose hands want to rip off their hats and the ribbing kept her ears snug and warm. This is a fun little hat to knit too. The pattern is actually for an adult, but I used size 4 needles, and the giving nature of ribbing, and it worked fine for an 18 month old. 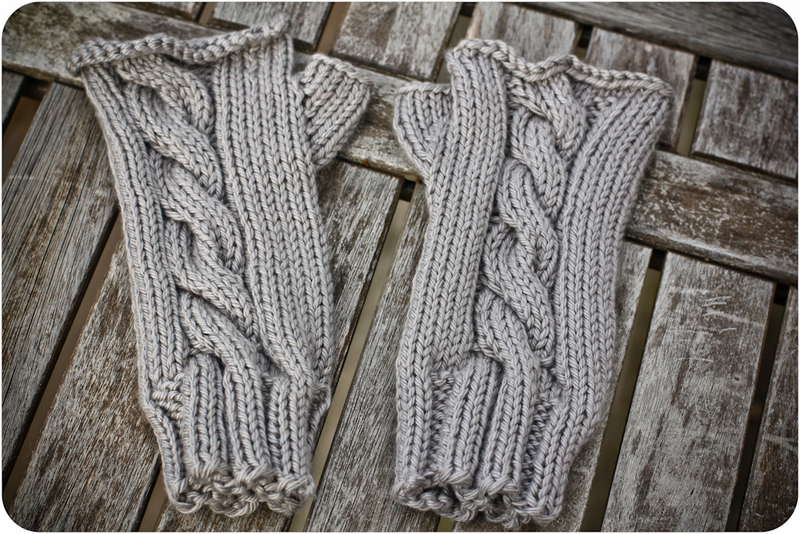 And lastly, for my friend, I made a pair of fingerless mitts. She saw the pair I made for Elizabeth and dropped a few hints that she might like a pair. 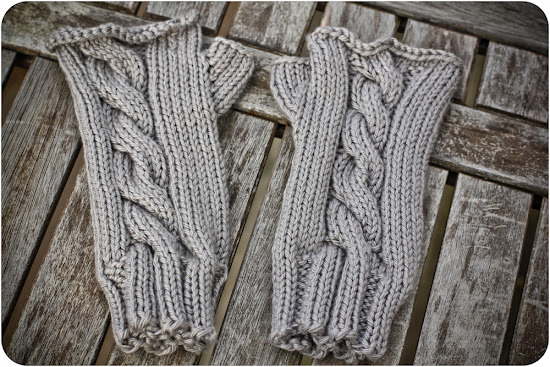 The thicker worsted weight yarn on size 8 needles worked much better for an adult pair of mitts, I think. Last, but not least, I made Finn a pair of socks out of other scrap yarn from a pair I made for Paul in the past. He wore them the second they were off the needles and now they are in the wash so no photo of those for now. At least I know he appreciates them! The sweater is adorable! I love the colors! And hats with a strap were an absolute must for my kids last year, this year much better :-) 4 projects since Christmas! Impressive! Oh those baby knits are precious!! 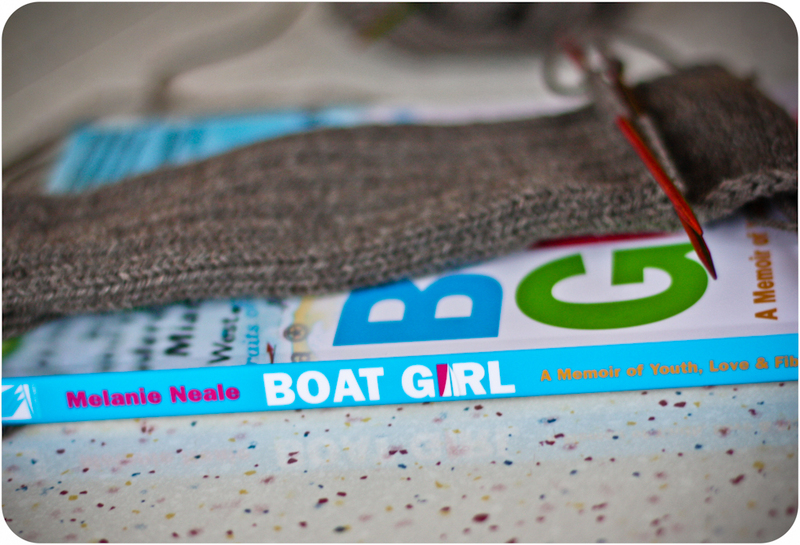 And I am happy you are enjoying Boat Girl, Melanie and her family are wonderful folks. Happy New Year! I love all of it! one of my favorite patterns is that pixie hat. It is so adorable on babies! boy have you been busy! Love the sweater and the colors! But then you always pick colors I like ;) Happy new year!! 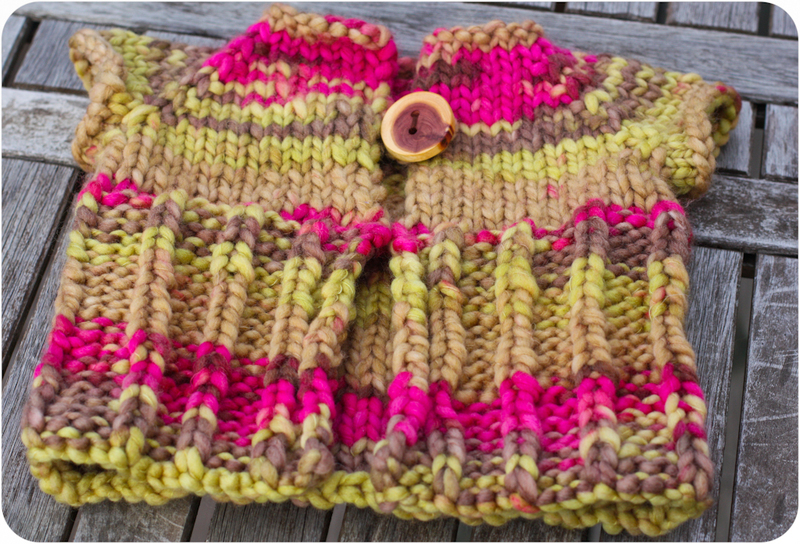 The colours in your sweet little knits are wonderful! What a productive knitter. Love the stripes! wow! you have been busy. and such lovely stuff. i made a bitty bump for my wee one, such a fun knit and it goes super fast. i love the button, i sued a cord to close it, but the button looks way better. and the hat. that yarn is stunning, what is it?? Thanks so much! 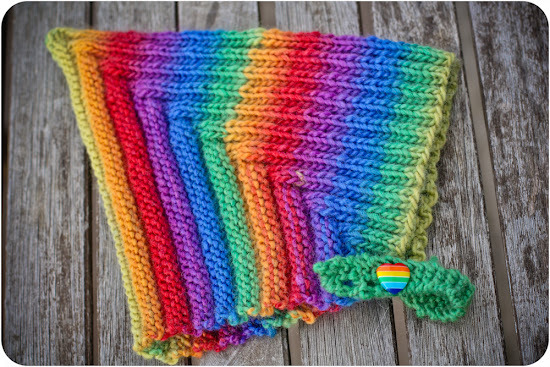 The yarn is Chroma Worsted in Prism. Such lovely projects you have been busy with Joy, I love the colourway of the baby hat, too beautiful! That pixie pattern is one of my favorites. That chunky baby sweater is too cute! that's a lot of knitting, Joy!! I never think to knit baby stuff in chunky yarn... now I have an excuse to buy some! Beautiful knitting! Your knitting is just beautiful Joy. Wishing you a wonderful New Year! What yarn did you use on the hat? The colors are gorgeous. 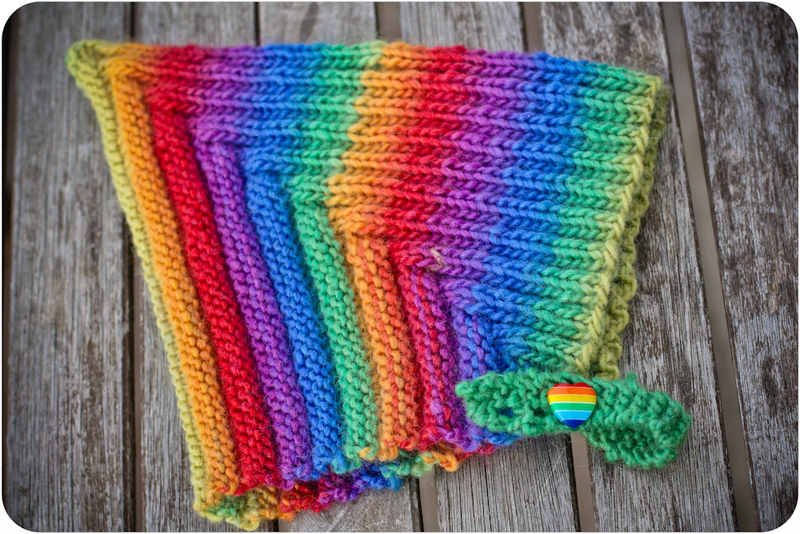 The yarn is Chroma Worsted in Prism. Adorable sweater and hat and the gloves are gorgeous! Happy New Year! Yes, I am also wanting to know what yarn you used on the hat! I LOVE the sweater.